IE Business School - Master in Management | IE FASHION CLUB IS CALLING YOU..
IE FASHION CLUB IS CALLING YOU..
Carly Cash once said, “Life is too short to wear boring clothes”. 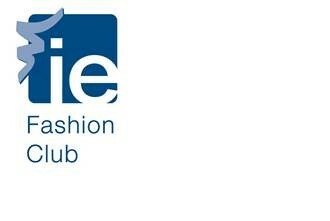 We will be opening the IE Fashion Club in January 2016, and we are here to welcome you all to join us. As we are all sometimes stress about what to wear and how to match clothes, IE Fashion Club is the place where we help you to match individual personality with a touch of elegance. We conduct discussions on personal styling, and we organize meetings where fashion lovers can exchange thoughts and speak about their preferences about things relating to fashion. We create fun times and special memories for members as we do photo-shoots and travel to places around Madrid. Also, we would love to provide consultancy sessions to members on how to use fashion for improving self-confidence, self-esteem and personal branding. Our competitive advantage is that we work on topics like personal styling, which benefits everyone, and we will invite professionals in fashion industry to teach their fashion principles and new trends exclusively to you. Fashion is art and you are the canvas. We are IE Fashion Club and we believe with us, you will always look fabulous.